There are, literally, a million different ways you can invest your money in. It has been that way for at least a decade. Smartly, a Robo-Advisor, was made to help you with just that problem. Throughout the 20th century, Financial Adviser (FA) was a popular job. FAs are responsible for suggesting investments for their clients. However, this service was exclusively for the wealthy individuals with millions of dollars, who could afford the luxury of having a FA. The fee could rocket to the 6-figure per year, depending on the investor’s wealth. As technology evolves, Robo-Advisor overtakes the role of FA by being a much more affordable alternative and enables everyone to invest. Think of Robo-Advisor as an online Financial Adviser, who helps you manage and invest your savings. There are about 12.9 million investors using Robo-Advisor service in 2017 and the number is increasing fast. But why can’t I Pick My Own Investment? Do you know that more than 82% of the actively managed funds can’t outperform the market? This is only the number for full-time, professional investors. Can you imagine the chances for part-timers? If you still aren’t convinced, let’s walk through some simple maths. The brokerage industry has been around for the longest time to assist in buying and selling. Assuming you’re picking stock, the cheapest broker in Singapore charges $10 per transaction. And you need to buy and then sell, so the broker takes $20 cut whether you make money or not. Furthermore, brokers have come up with all kinds of other fees to increase their revenue. What’s custody fees? What’s corporate action fees? Exactly, no one knows until they’re charged. And then there’s diversification. It basically means “don’t put all your eggs in one basket”. You’ll have to buy 3-4 stocks at least, to be “safe”. Now how much is that brokerage fee per year? Bottom Line: You pay a ridiculous amount to start investing. Even then, there’s no guarantee you’ll get decent returns. Experiencing the same frustration as millions others, Keir and Artur, Smartly’s co-founders, set out to solve just that. Smartly is your very own personal Financial Adviser. After getting to know you, Smartly recommends you a combination of investments your hard earned money should go to. Only when you think it’s a good idea, Smartly will help you buy and manage over time. The way it works is very simple. Through a set of questions, Smartly finds out your investment goal, risk appetite, investing time-frame, then determines your ideal portfolio. The positive reviews and feedbacks of Smartly have kept Keir and Artur going for three years now. How Will My Savings Be Invested? Once receiving authorisation from you, the investor, Smartly will proceed to buy Exchange-Traded Funds, or ETFs. These are funds that include the stocks in one specific index. In other words, owning an ETF is like owning tens, sometimes hundreds stocks at once. Still not convinced? Alright, let the legendary investor Warren Buffett tell you. He is one of the big believers in ETFs. Of course, the recommended ETFs depend on your risk tolerance. Riskier ETFs can bring higher returns, but that’s not always the case. How to Recruit Smartly as My Financial Adviser? You’ll be surprised how easy it is to get started. First, find Smartly (https://www.smartly.sg). Then, let Smartly get to know you via a few personal questions. 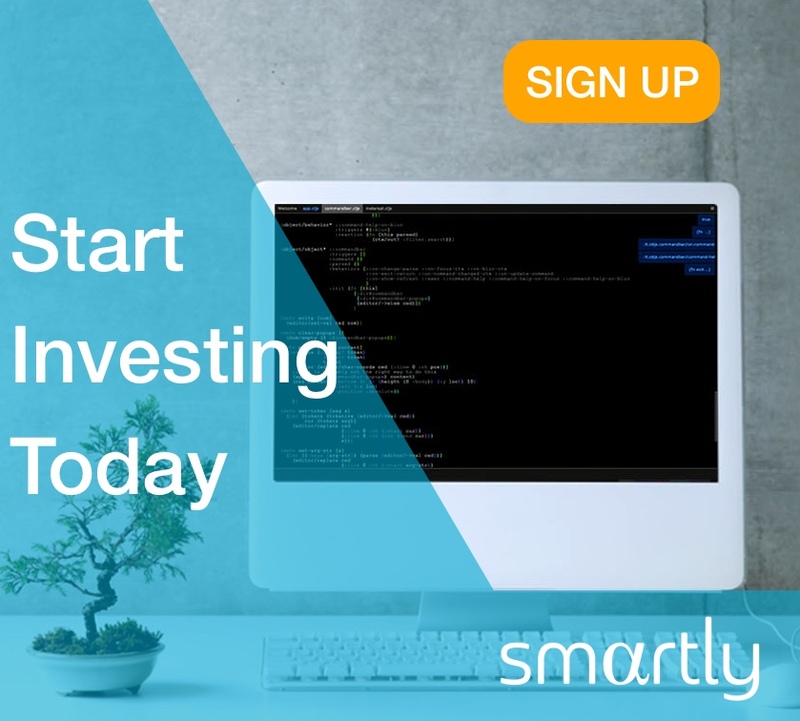 After your registration, Smartly will need to confirm your personal details (we comply with Monetary Authority of Singapore, or MAS) and get back to you in a few hours while a traditional brokerage house takes weeks, if not months. Once confirmed, you’re ready to start building your very own wealth. Previous articleInvesting EducationWhat is an Exchange-Traded Fund (ETF) and why do we use them? Next articleCustomer StoriesSmartly People: Meet Kate!